Ram is an American manufacturer that includes trucks and vans that are designed for the heavy-duty work place. As a company that only produces trucks and cargo vans, Ram has an excellent reputation for building strong, durable vehicles to be used as a daily driver and for the workplace. While all of the Ram models offer durability and power, the adequately-sized Ram 1500 is a popular buy and has won several awards for its capabilities and comfort. Starting at $26,045, the base model Ram, the Ram 1500 Tradesman, is a safe, efficient and comfortable truck. 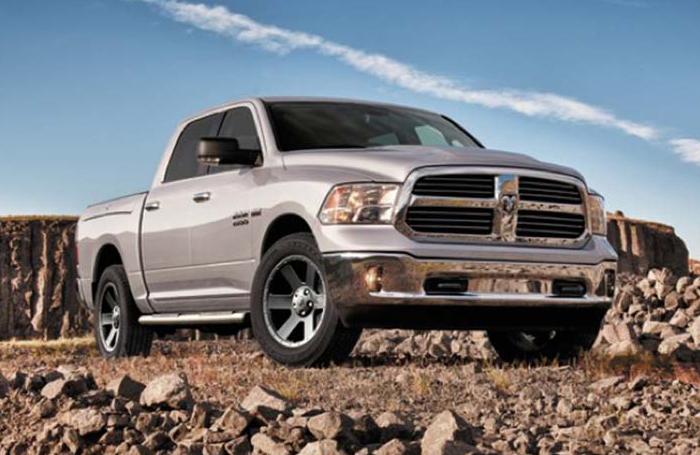 The Ram 1500 Tradesman is equipped with a 3.6-liter, V6 engine paired to an 8-speed transmission. This durable and forceful engine produces 305-horsepower and exceptional torque, and at an EPA average of 17 MPG in the city and 25 MPG when on the highway, it has better fuel economy than many of the other full-size pickup trucks on the market. Built with towing in mind, the basic Ram 1500 comes with a Class IV receiver hitch, and it has a towing capability of 10,840 pounds. Additionally, the truck is equipped with hill start assistance, a feature that makes it easier for the truck to get moving with heavy loads because it helps reduce a vehicle from rolling back when the driver’s foot off is no longer on the break. The Tradesman has adjustable air springs that allow drivers to raise and lower the truck to five different riding heights. Designed with easy-to-access dashboard controls, it is easy for a driver to make those height adjustments when extra clearance is needed. Additionally, Smart sensors will automatically lower your truck when traveling at highway speeds to increase fuel efficiency and eliminate drag. The Tradesman is available as a 2-door or 4-cab and each of those sizes are also available with an 8’, 6’4”, or 5’7” truck bed. The Ram 1500 comes standard with 17” steel wheels and Goodyear tires, and in case of a flat, there is a full-size spare included. The Ram 1500 is available in over 15 colors.The exterior front headlights are automatic halogen quad headlamps and the rear lights are incandescent tail lamps. heavy-duty vinyl which is both easy-to-clean and durable. The 1500 Tradesman has some great safety features for big truck. Automatic headlamps come on by themselves, and fog lamps illuminate hard to see roads when it’s foggy outside. Dynamic front crumple zones are located on the front bumper. Crumple zones are designed to bear majority of force during an impact to keep drivers safe. Side impact door beams provide extra protection to cab passengers during an accident. 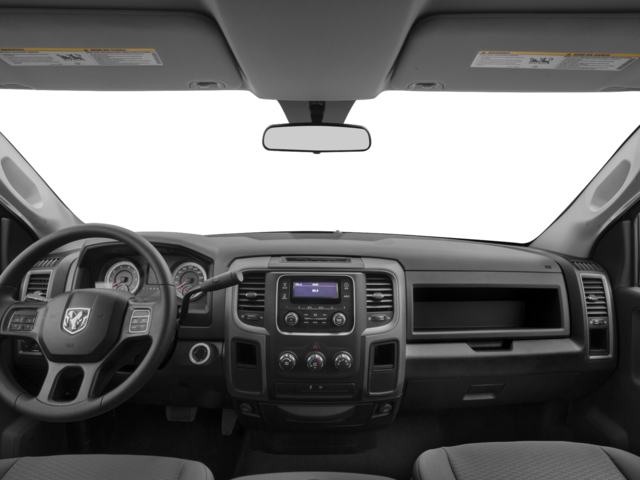 The Ram 1500 Tradesman is also equipped with an advanced air bag system including side curtain airbags which deploy at three different speeds depending on the severity of the impact. Aside from anti-lock brakes, traction control and electronic stability control the Ram offers trailer-sway control. This uses the brakes and stability control to reduce and eliminate the swaying effect that sometimes occurs during towing. All Ram trucks are covered with a 36,000-mile or 3-year basic limited warranty and diesel vehicles with a 5-year/100,000-mile diesel powertrain limited warranty, and gas-powered vehicles with a 3-year or 36,000-mile gas powertrain limited warranty.